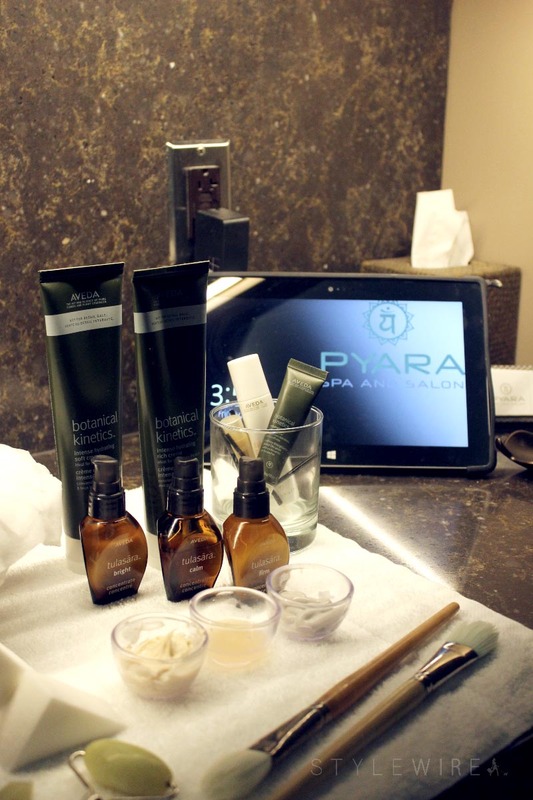 Spa Day at Pyara Salon & Spa featuring Tulasara! 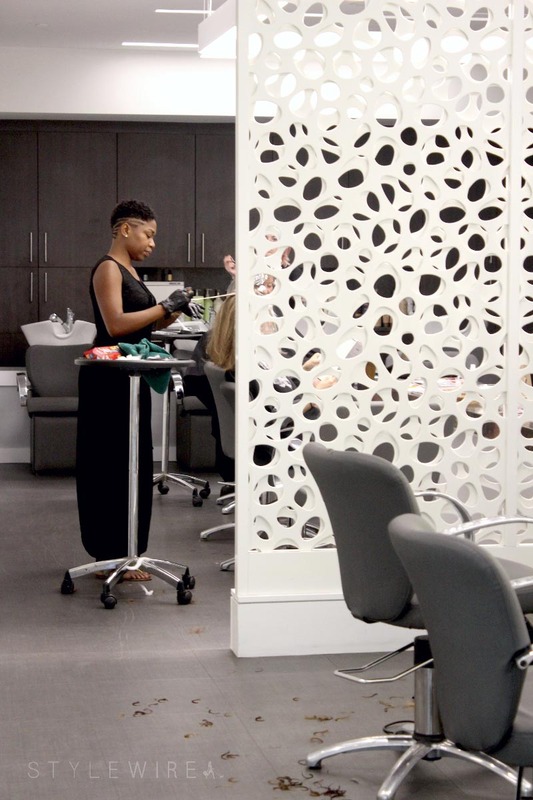 I had a stressful ending to July so I decided to kick off August with a visit to Pyara Spa & Salon in Cambridge for a little pick me up and pampering. It was perfect timing since they just launched a new line at Aveda, the Tulasara advanced performance skincare line and concentrates. I was one of the first to try the Perfecting Plant Peel, an innovative plant-powered facial and thermal peel at their Cambridge location (conveniently located next to my favorite spin studio, The Handle Bar!). It's truly amazing how these naturally derived ingredients work together to retexturize the skin, smooth the appearance of fine lines and wrinkles, and even skin tone while minimizing the appearance of your pores. Following my Tulasara treatment, peel, and facial I indulged in a gel mani & pedi. The spa itself is very clean (especially the hair and nail stations) and they offer a delicious house tea to sip on during your visit. Throughout the entire experience my estheticians were wonderful and full of helpful skin care tips and tricks. I am dying to go back for a Stress Fix massage soon. The treatment rooms are so serene and relaxing... I may have dozed off once or twice during my facial! Tonight Pyara will be celebrating the launch of this new line at their Cambridge location with pampering, prizes, and libations. Join in the fun from 5-7PM and see what this amazing new line is all about! I was provided complimentary services for review and promotional purposes. All content and opinions expressed are my own. Thanks for supporting those who support Style-Wire.com!